Celebrate the many ways someone has inspired your days. 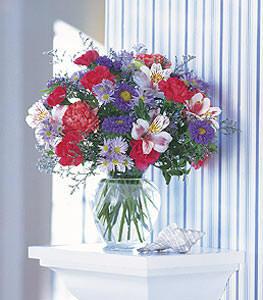 Give them this pink and purple blend of uplifting flowers. Miniature carnations, asters and alstroemeria are delivered in a ginger jar-shaped vase.